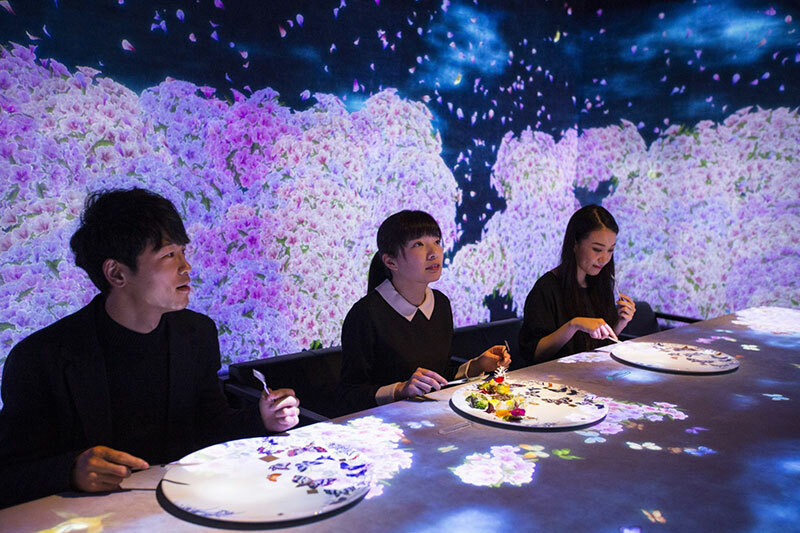 Japanese art collective teamLab has created an interactive digital installation inside a restaurant in Tokyo's Ginza district. 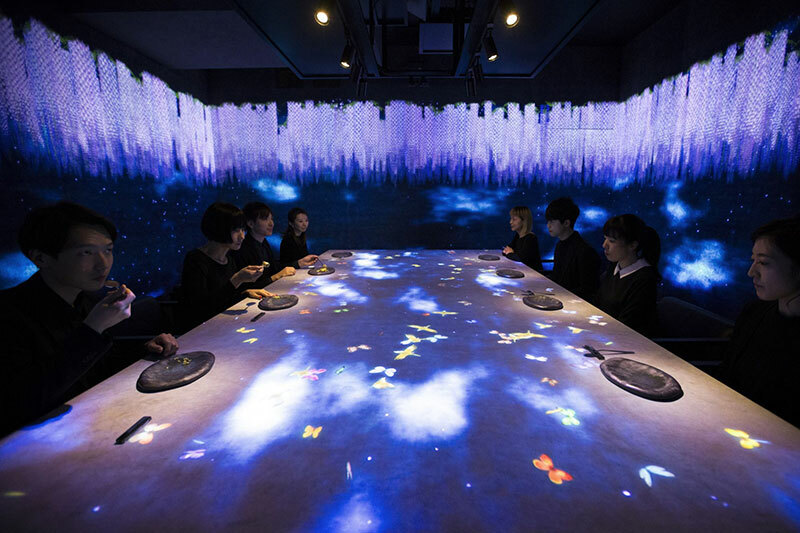 Entitled Worlds Unleashed and then Connecting, the immersive space provides diners with a multi-sensory experience in the form of real-time projections on the restaurant’s walls and tables that conveys the smells, tastes and scenic beauty of Japan. 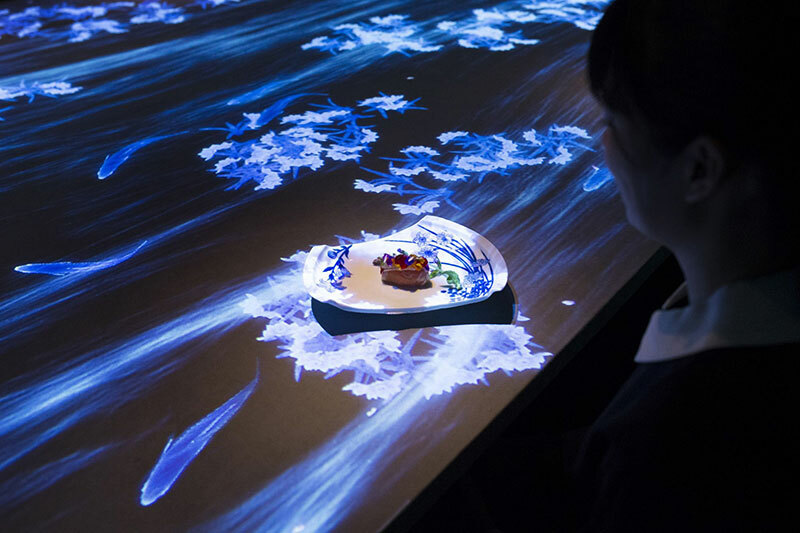 When a dish is placed on the table, the world contained within the dish is unleashed, unfolding onto the table and into the surrounding space. The worlds unleashed from each dish connect in the external space creating a new larger world. The worlds unleashed are affected by the other dishes on the table. For example, a bird released from one dish can perch on the branch of a tree unleashed from another. The trees that grow from each dish are not identical; their sizes and shapes are affected by the worlds unleashed by the other dishes on the table. These unleashed worlds are also affected by your behavior. If you stand still, a tiny bird might alight on your hand; if you move suddenly, it might fly away. 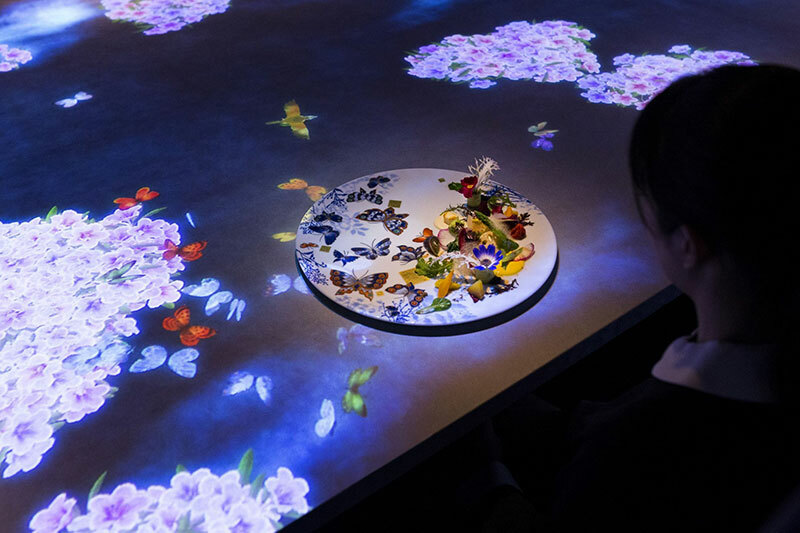 The worlds unleashed from the dishes on the table influence each other, react to the actions of visitors, and combine to create one single continuous world. The world is constantly changing from moment to moment and no two moments are alike. The plates can be arranged on the table however visitors wish. 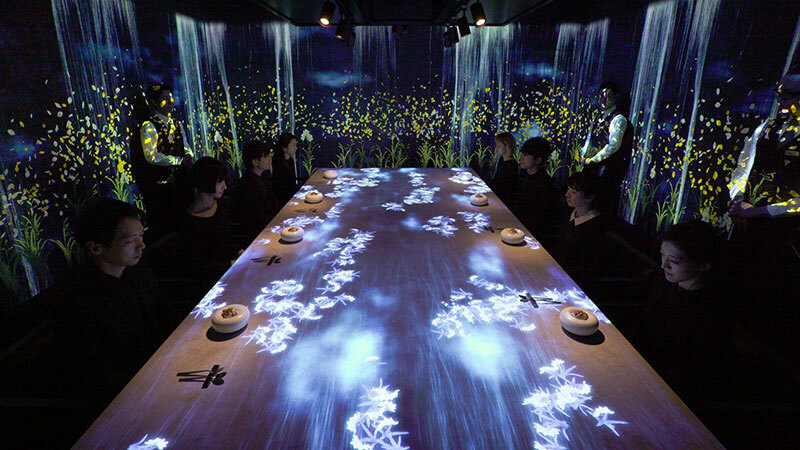 Japanese art collective teamLab has created an interactive digital installation inside a restaurant in Tokyo's Ginza district.